I have only read Fangirl by Rainbow Rowell, but this book sounds cute (but creepy?) haha :) I'll have to read this soon! LOL there is that creepy side of it, but I think because we know Lincoln so well though the book, we know he's a good guy! And cute! :D I hope you enjoy this one! Very excited for Landline! I just recently read E&P and... didn't get the appeal. I'm not much into YA anyway, but this one seemed to be so universally adored... and I'm just sitting here trying to figure out what's so special about it. Well, still not motivated to read it then! I'm sure I will someday but it seems like I will have to be in a certain mood for it. I want to like it since I like Rainbow's writing so much! I am so excited to read this one, so glad you loved it! I need to read this book soon!! I really want to get all of Rowell's books read before Landline comes out. So glad to see you liked this!! We usually like the same books. Oh yay, I think you'll love it! Ah that is a good goal to read all of Rainbow's books before Landline! I like how she writes such different kinds of books so it's interesting to see how she deals with each topic. Hopefully then I will pick up Eleanor and Park before Landline comes out! Rainbow Rowell is amazingly gifted. I adored Fangirl and Eleanor and Park. I can't wait to read this one!!! I think that might be what's so great about Rainbow Rowell! She writes these books that on the surface are purely adorable but they're also thought-provoking and have a lot of more depth than you think they will. Her characters are also really well realized and full. I'll have to read this one very soon! Cute with depth sounds like the best of both world. Rowell's books are like a shot in the dark, I either love them or hate them. I disliked E&P but loved Fangirl. Endings are tough to pull off, you can either have too perfect of a resolution or the "not really a resolution at all" types. Oh good, I did see others were a little disappointed with the ending as well - but the awesomeness of the book overall makes up for that! Her writing is just wonderful though, so I'm sure that even if I don't like some of her books as much as Fangirl and Attachments (I'm thinking Eleanor and Park) I will still enjoy reading the book! So I look forward to that! This should be a great read for you if you loved both of her other books! It's different in tone from Fangirl I think, but just as well written and compelling! Yes, I agree completely! Her books really capture the experience of living through these characters' stories! 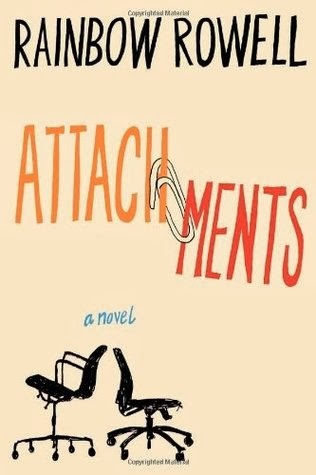 I hope you get to read Attachments soon! LOL, well let me be the first to figuratively thrust this book into your hands! :D I think Lincoln, as well as Beth will appeal to you! 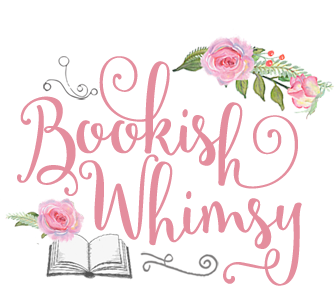 With Rainbow's books being pretty different from each other, I can definitely see why one book would work for you and not another! I hope you will like this one if you get the chance to read it - it's such a sweet romance!